Coco Palm is a Creole-style hotel located just a few minutes’ walk from Reduit Beach in Rodney Bay. Owned by a St Lucian family, the colourful property offers excellent value for money in a superb location near numerous bars and restaurants and a beautiful stretch of beach. At the heart of the family-friendly hotel is a large freeform swimming pool which is surrounded by terraces with sun loungers. Rooms and suites occupy four-storey buildings surrounding this area, many with Juliet balconies overlooking the pool and others with views over the gardens. The six Luxe Swim Up Rooms even boast patios with steps which lead straight into the water, while the most spacious options are the Suites which have a living area which is separate to the master bedroom. All accommodation options are furnished in a similar French-Creole style with tiled floors, elegant mahogany furniture and traditional Caribbean fabrics alongside modern amenities. There are two restaurants at Coco Palm which serve superb Creole-style dishes, both popular with local residents. Creole Grill offers alfresco dining in a colourful setting while Ti Bananne is the main restaurant where guests can dine inside, on the deck or by the pool. Ti Bananne hosts weekly barbeques while two bars serve local drinks accompanied by regular live entertainment. The resort encourages guests to explore St Lucia - the shops, bars and restaurants of Rodney Bay are just a few minutes’ walk away, Castries can easily be visited by local bus and a vast range of excursions are available for those who wish to venture further afield. Coco Palm is an excellent value Creole-style property just a few minutes’ walk from the beach and the many restaurants in Rodney Bay. All rooms are similar in style but my favourites were the Luxe Swim Up Rooms, located on the ground floor with a small terrace leading straight into the swimming pool. Dining at the resort is superb and is popular with locals. 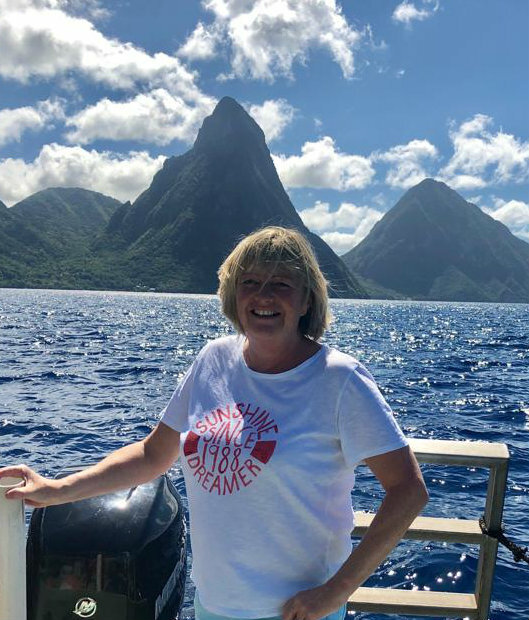 For more information about Coco Palm or alternative resorts, take a look at Su's St Lucia Trip Diary.